The DYMO Omega embossing labeler is capable of labelling your items indoor and outdoor. With a rubber grip handheld design the Omega labeller is built for comfort and ease of use. 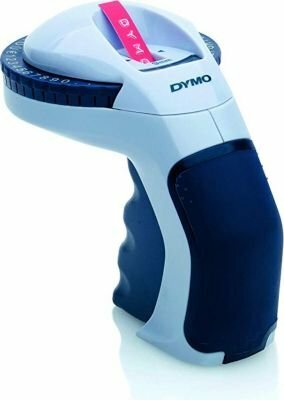 Many features of the DYMO Omega include a tough exterior, simple to use cutter,a 49 characters wheel and no batteries are required. The Omega has a 'Turn and Click' method of embossed labeling is an ideal way to label items that are subjected to water, abrasions, corrosion and some chemicals. The embossed labels are a perfect way to label if you require a label to last and stay in place.